An annual celebration of women across the Gulf South who have made an impact in their local tech community. 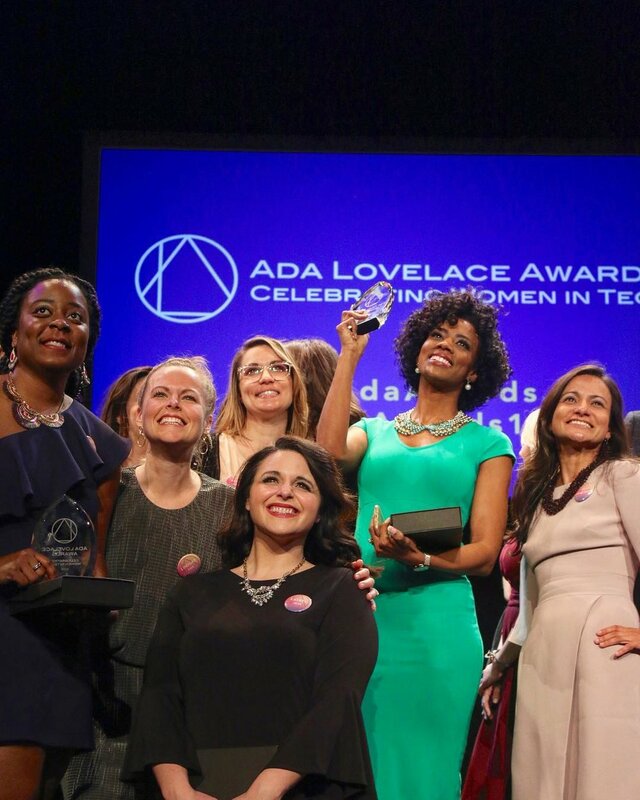 The Ada Lovelace Awards aim to challenge the inequities that exist in the tech industry by showcasing and celebrating the achievements reached by women despite the many obstacles they have faced - on all fronts of discrimination, not just gender. We are growing a community of women who will lift each other up and mentor one another. Chris Reade, serial entrepreneur and technologist, dreamed up the Ada Lovelace Award in 2015. The father of a young daughter, he was struck by how few prominent female role models he knew in science and technology. The awards are named after Ada Lovelace, the Victorian-era mathematician and writer widely regarded as the world’s first computer programmer. The 2019 Ada Lovelace Award winners are Nashlie Sephus, PhD, Julie Cwikla PhD, Laurel Hess, Lynsey Jordan Gwin, Rebekah E. Wilke, and Courtney Caldwell. What began as a small ceremony held in the LookFar offices in 2015 has grown into a highly anticipated celebration. In 2017, we expanded the awards to recognize the accomplishments of women across the Gulf South region, including Louisiana, Mississippi, Alabama, Georgia, Florida, and Texas. Additionally, we added categories to acknowledge the various roles held by women that require some level of technical expertise. This year, six highly esteemed judges volunteered their time to review detailed information about the top five finalists from the category each of them was assigned to score. The six categories of 2019 are Software Engineer, Tech Founder, Product Manager, UI/UX Designer, Digital Marketer, and STEM Educator. The 4th annual Ada Lovelace Awards were held on Tuesday, March 26, 2019 at the Civic Theatre in downtown New Orleans as part of New Orleans Entrepreneur Week. Kim Walker LeGrue, the first female CIO of the City of New Orleans gave the keynote speech about the Information Technology industry and the need to see technology more broadly. While LookFar, a New Orleans startup studio, is the producer of the Ada Lovelace Awards, many sponsors contribute to make the event possible.